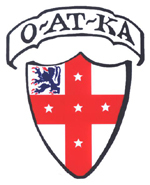 O-AT-KA, founded in 1906, is a traditional boys summer camp located on Sebago Lake. O-AT-KA provides a nurturing and supportive environment for boys ages 8-16. The camp offers superb land and water-sports, along with a strong arts program located in an 8 studio art center. The camp offers a variety of 3 day trips including sea-kayaking and hiking Mt. Kathadin. Traditional values, an integral part of camp life, are reinforced by a superb staff, through group living and daily camp gatherings...all helping to build a solid foundation for life which stresses values, skills, friendships, and fun.